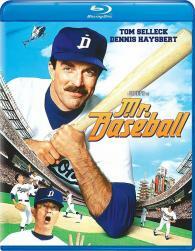 Tom Selleck stars in this hilarious comedy about a veteran major leaguer who attempts to revive his fading career by signing to play in Japan.Aging superstar Jack Elliot (Selleck) just isn't hitting them like he used to. In fact, the only pro ball club willing to sign him is the Chunichi Dragons… in Nagoya, Japan. Cultures clash immediately when Jack hits town and proceeds to alienate everyone with his arrogance. But through the friendship of teammate Max Hammer Dubois (Dennis Haysbert, Far From Heaven) and the love of the team's beautiful translator, Jack finds a way to fit in and win in this heartwarming, action-packed comedy from director Fred Schepisi.